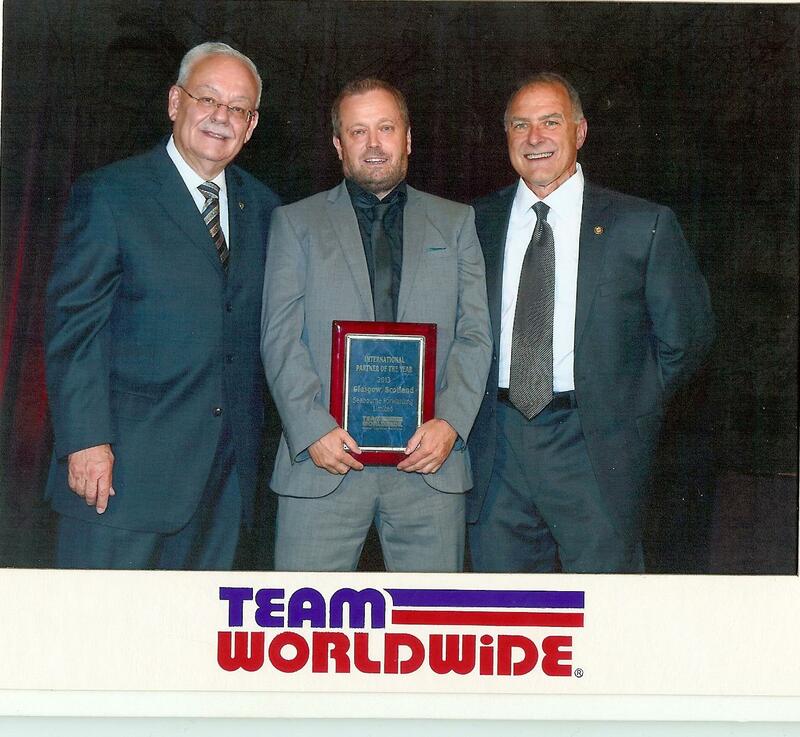 The Seabourne Group is very pleased to have been awarded the International Partner of the Year for 2013, by Team Worldwide, USA, voted for by Team’s forty plus offices throughout the USA. Gordon Campbell General Manager of Seabourne Glasgow received the award on behalf of Seabourne at the Team annual conference during the Gala Dinner on Saturday the 19th July. Team Worldwide is a freight forwarding company operating around the United States and offering a diversified range of global logistics solutions to customers. “The award is in recognition of the quality of service provided by the Seabourne Group to Team Worldwide in 2013” said Gordon Campbell. For any questions at all, please do not hesitate to contact Seabourne Group Managing Director, Daniel Flitterman (dflitterman@seabourne-group.com) or OCS Managing Director, Tim Jones (tim.jones@ocsworldwide.co.uk) or any of your usual Seabourne contacts. We would like to take this opportunity to personally thank all our loyal customers for all their business and support.